Stone Age chopper tool. Close-up of an archaeologist reassembling a Stone Age tool called a 'chopper'. 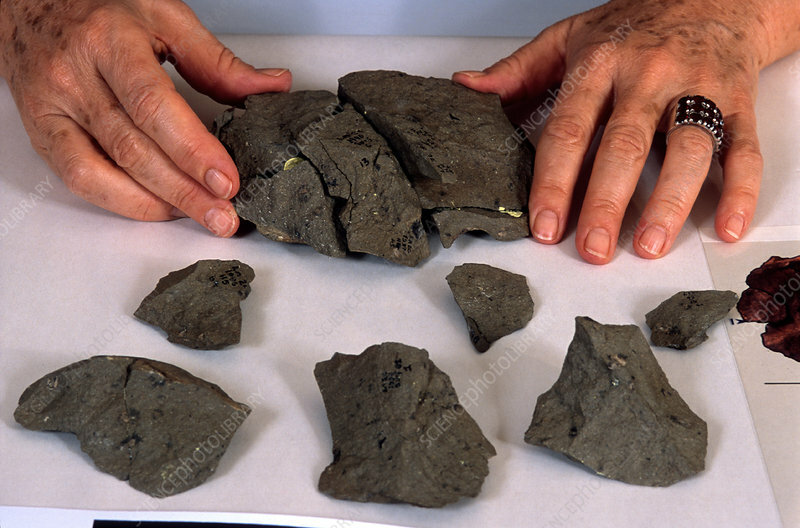 This is a crude stone tool defined as a pebble with an irregular cutting edge formed through the removal of flakes from one side. This specimen was discovered at the Lokalalei site in Kenya. It is a pre-Oldowan stone tool and dates from around 2.34 million years ago. Here, it is being studied by French prehistoric archaeologist Helene Roche.